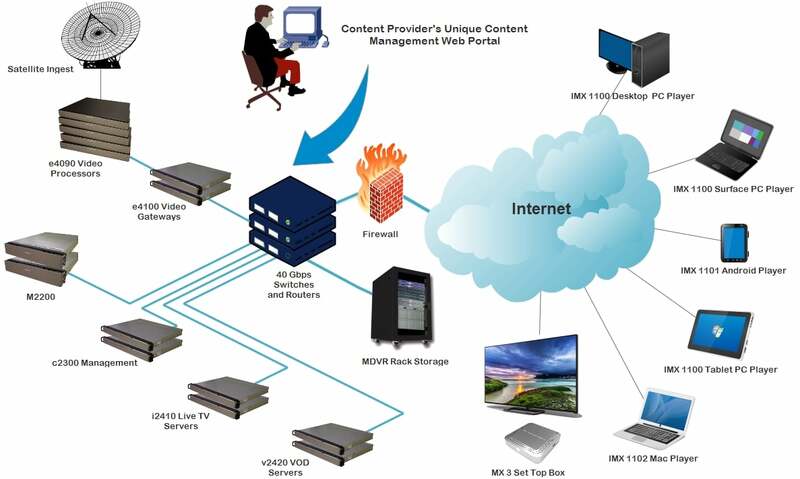 Video Content Provider IPTV Solution - MatrixStream Technologies, Inc. Number of Video Subscribers – Customer would like support 50,000 initial subscribers and add additional 100,000 subscribers each year for the next 3 years. The customer would eventually like to expand to over 1 million subscribers. HD Video – Customer would like to offer HD content to premium customers. Streaming Over the Internet – Customer would like to use the Internet as their video transport. Customer is not impressed with some of the existing video downloading services due to poor video quality and slow video loading. Customer would like a streaming solution over the Internet where subscribers can play a video as soon as they select it. View On TV or PC – Customer would like to give subscribers the option to watch videos on their large HDTV or on their PC. VOD Support – Live TV is not a requirement. Customer would like to put all 50,000 hours of video content onto their VOD servers for customers to pick and choose from. 6,000 MX 3 IP STBs – Fully able to support HD 1080p videos. Students can hook up MX 1 IP STB to their HDTV at home to watch class videos.